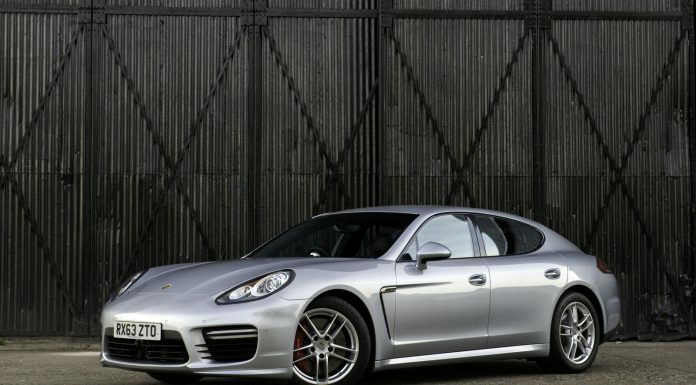 Porsche launched the second generation of the Porsche Panamera. 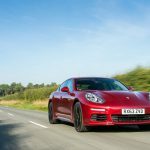 We went to the United Kingdom to find out what the new 2014 Porsche Panamera Diesel, Panamera Turbo and Panamera S E-Hybrid are like to drive! 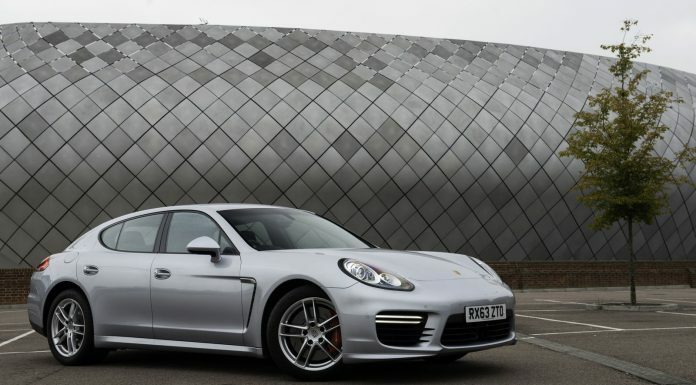 Porsche initially hoped to sell 20,000 Panameras a year. 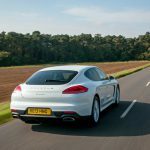 Four years after the first Panamera left the factory, the 100,000th marker was reached. 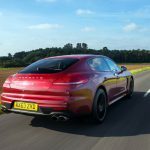 After the success of the Cayenne it looks like everything Porsche touches turns into gold, will the second generation Panamera build on the success of the first? The new Panamera offers a choice of no less than ten different models: V6 vs V8, RWD vs AWD, SWB vs LWB and conventional vs hybrid. All models have individual specifications and performance figures. 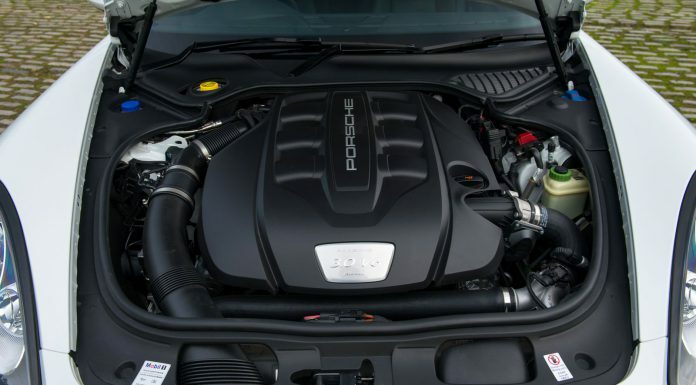 The new Panamera, Panamera S, 4, 4S and Diesel models come with Porsche’s new downsized 3-litre V6 Biturbo engine. 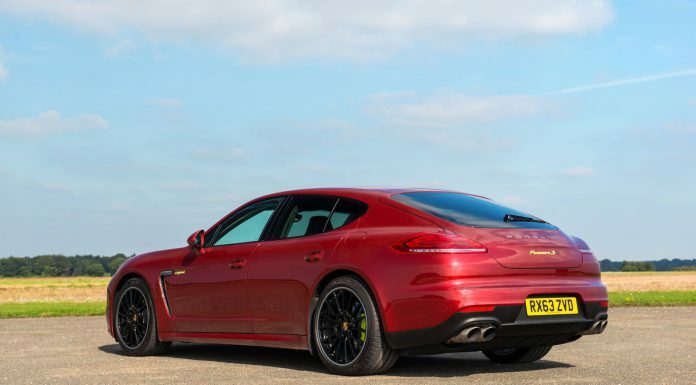 The new Panamera S E-Hybrid comes with a supercharged V6. 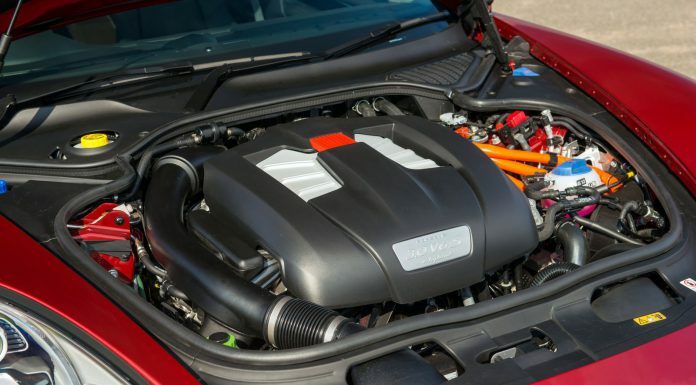 The GTS and Turbo models come with a 4.8 litre V8. The long-wheel base models can be recognized by the Executive badge. 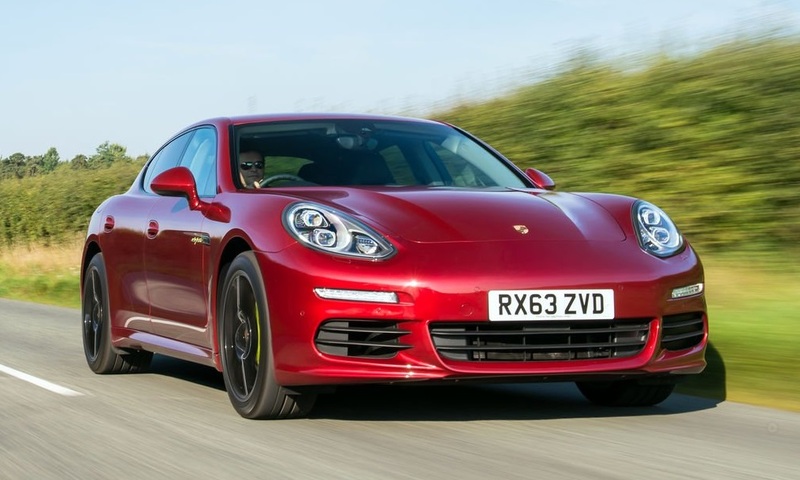 2014 Porsche Panamera: 3.6-litre V6 engine with 310 hp (228 kW); seven-speed PDK; acceleration 0 – 100 km/h in 6.3 seconds; top speed 259 km/h; fuel consumption 8.4 l/100 km; CO2 196 g/km. top speed 257 km/h; fuel consumption 8.7 l/100 km; CO2 203 g/km. 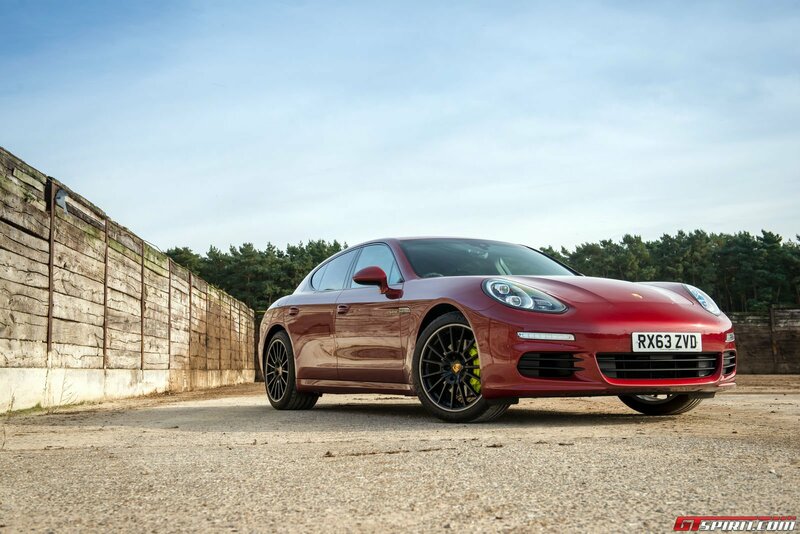 2014 Porsche Panamera Diesel 3-litre V6 turbodiesel with 250 hp (184 kW); eight-speed Tiptronic S; acceleration 0 – 100 km/h in 6.8 seconds; top speed 244 km/h; fuel consumption 6.3 l/100 km; CO2 166 g/km. consumption 8.7 l/100 km; CO2 204 g/km. 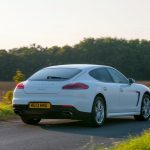 2014 Porsche Panamera S E-Hybrid Parallel full hybrid with plug-in technology, 3-litre V6 supercharged engine and synchronous electric motor with 416 hp (306 kW) total system power; eight-speed Tiptronic S; acceleration 0 – 100 km/h in 5.5 seconds; top speed 270 km/h; fuel consumption 3.1 l/100 km; CO2 71 g/km. fuel consumption 8.9 l/100 km; CO2 208 g/km. 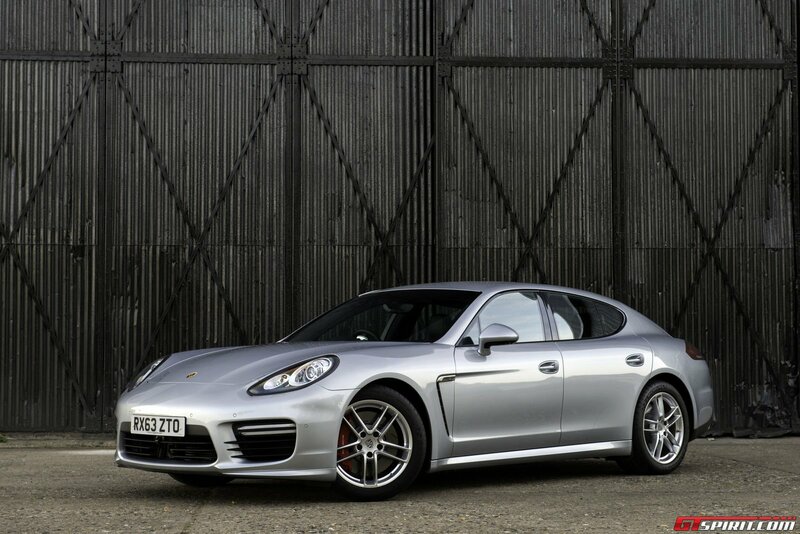 2014 Porsche Panamera 4S Executive 3-litre V6 biturbo with 420 hp (309 kW); PDK; PTM; acceleration 0 – 100 km/h in 5.0 seconds; top speed 286 km/h; fuel consumption 9.0 l/100 km; CO2 210 g/km. fuel consumption 10.7 l/100 km; CO2 249 g/km. fuel consumption 10.2 l/100 km; CO2 239 g/km. 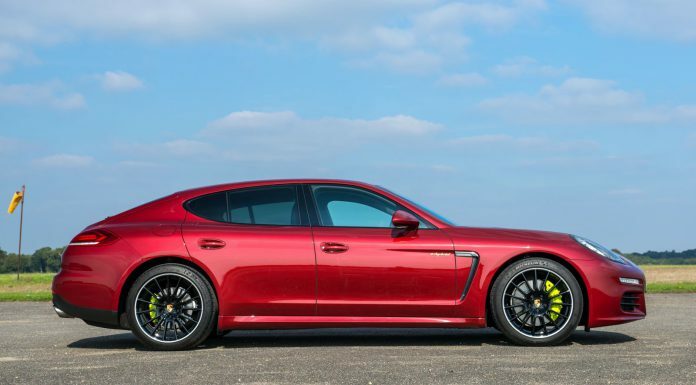 2014 Porsche Panamera Turbo Executive 4.8-litre biturbo-V8 with 520 hp (382 kW); PDK; PTM; acceleration 0 – 100 km/h in 4.2 seconds; top speed 305 km/h; fuel consumption 10.3 l/100 km; CO2 242 g/km. 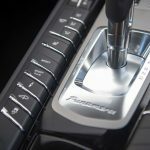 All new Panameras apart from the Porsche Panamera Diesel and S E-Hybrid (which come with a 8-Speed Tiptronic Gearbox) come with Porsche’s new PDK gearbox. 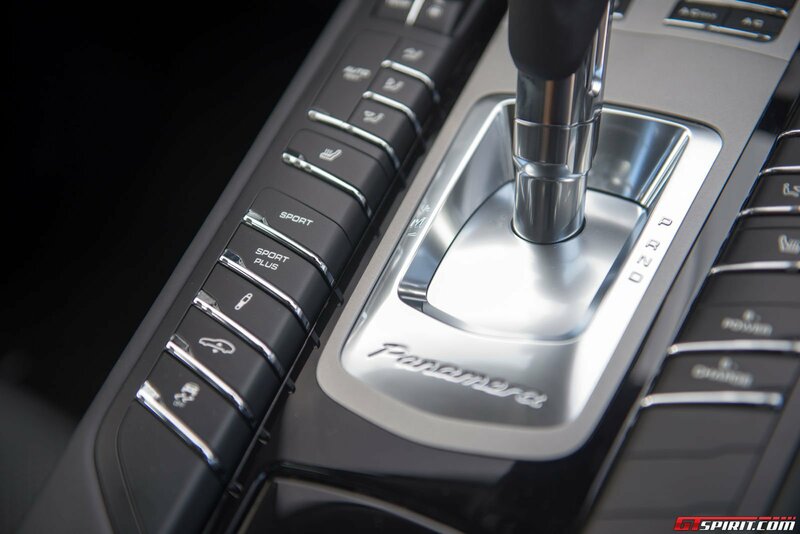 The new PDK now also comes with so called virtual intermediate gears for further improved fuel economy and comfort. 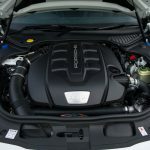 They are used to reduce revs during quieter modes of driving up to a speed of around 80 km/h, if shifting to the next higher gear would drop revs below the engines lower rev limit. To do this, the transmission controller engages adjacent gear levels, controls both clutches for defined slip and transmits the drive power in this way. When the driver accelerates, the Doppelkupplung downshifts to the suitable gear with lightning speed. 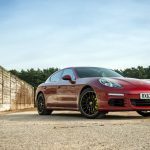 The different Porsche Panamera models come with a variety of suspension setups. 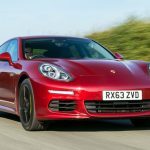 The entry-level Panamera and Diesel have traditional steel springs as standard without the Porsche Active Suspension Management (PASM). The 4S comes with steel springs with PASM and the high-end models all have air suspension with PASM as standard. 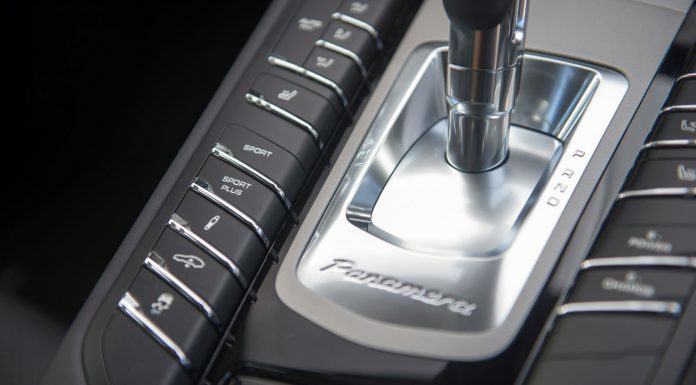 In the latest generation Panamera Porsche has further optimized the running gear. The goal was to realize an even greater tuning range between sportiness and comfort. 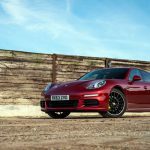 The effort Porsche put in clearly shows its worth when switching between the three suspension settings in the PASM menu with the air suspension. 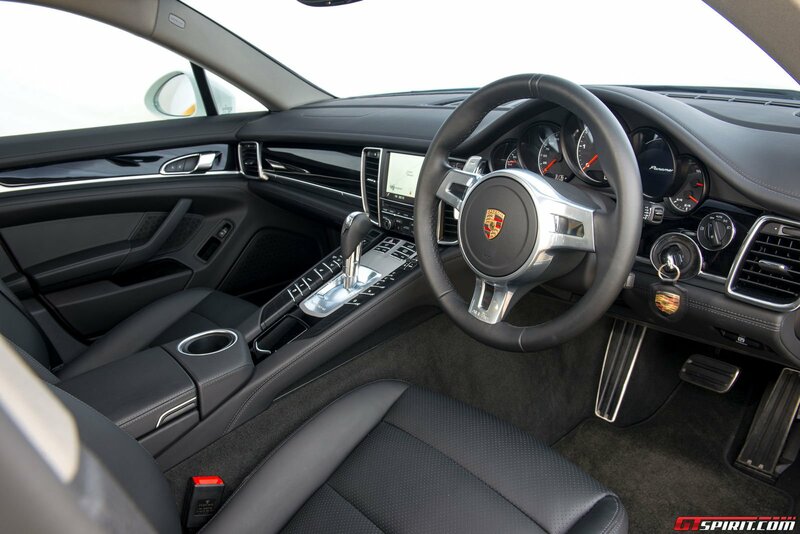 In comfort the Panamera is as comfortable as many of its competitors in the luxury saloon segment, switch to Sport or Sport+ and the Panamera changes into a 4-seater 911 with handling to match. 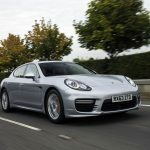 New for the second generation Porsche Panamera are two so called Executive Versions; available as 4S and Panamera Turbo Executive only at the moment. 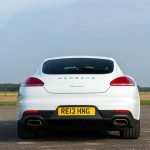 The Porsche Panamera Executive models have a 15 centimeter longer wheelbase and therefor offer more rear seating space and better ride comfort. 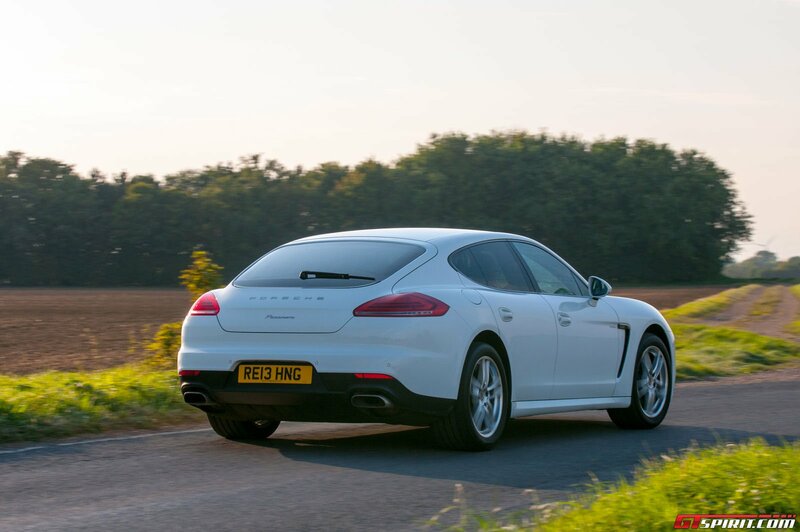 The Executive Versions are positioned at the top-end of the model range and include many options as standard including Air Suspension, parking sensors, insulated privacy glass in the rear and 19” Porsche Design II wheels. The Executive models will be available in selected ‘limousine’ markets only like Germany, the United States and in particular China. 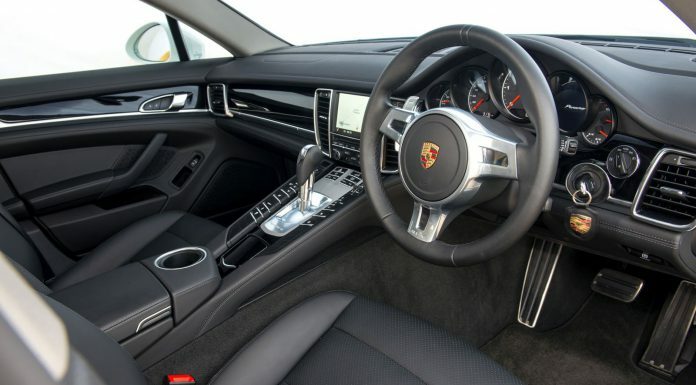 The second generation Porsche Panamera interior wise didn’t change much with its predecessor. The concept still includes 4 individual seats, a driver oriented center console and a complete finishing in fine leathers. 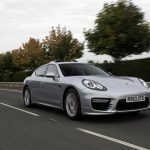 The Panamera models are further upgraded by new standard features such as bi-xenon headlights, a multifunction steering wheel and an automatic power-lift boot lid. 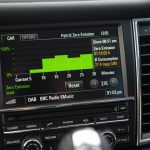 New is also Porsche Car Connect, a smartphone App developed by Porsche to control key functions. Especially useful for the S E-Hybrid to check on charge status and switch on pre-heating or cooling. The App can also show you if the cars are locked and allows you to fold the mirrors or switch on the alarm lights. A quick demo of the App clearly impressed us with the new functionality that Porsche Car Connect adds to daily e-mobility. From charge status, remaining range and locking the engine to receiving a warning message when your car has left a certain range or crossed over a certain speed. 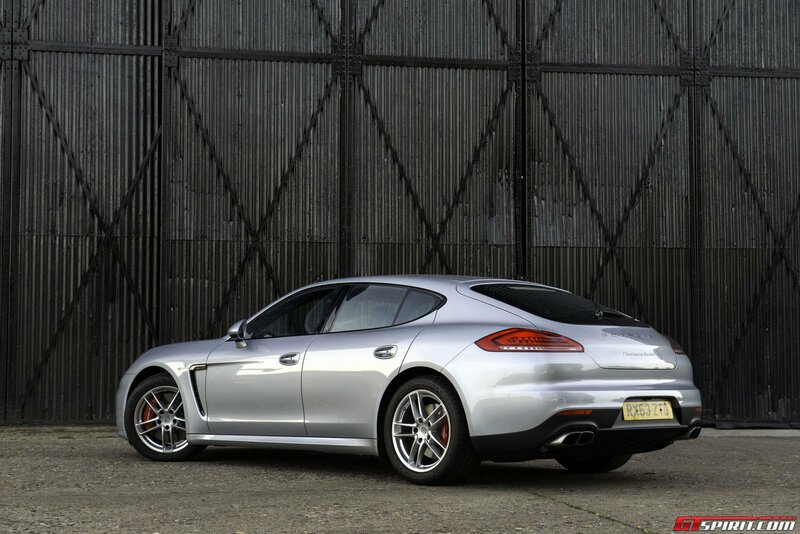 The styling of the Porsche Panamera has initially been received as quite controversial. With the second generation there is once again reason for a small discussion as the rear has been significantly redesigned. The position of the license plate has moved down which has the biggest visual impact. In the end its just up to personal taste and if the sales figures express one thing than it is that plenty of people like it. Personally I hope Porsche one day decides to build the good looking Sport Turismo concept shown at the 2012 Paris Motor Show as Panamera replacement. Around the front of the new Panamera there is no drama, larger air intakes and redesigned headlights. The windscreen is a tad more sweptback, together with a widened rear windscreen this gives the Panamera a sportier look from the side. With ten different models in the range Porsche did as much as possible to differentiate them also visually. Along with the colour contrasting brake calipers, which is related to the specific engine, the most significant identifying features are the differently shaped frontend components and model-specific tailpipes. 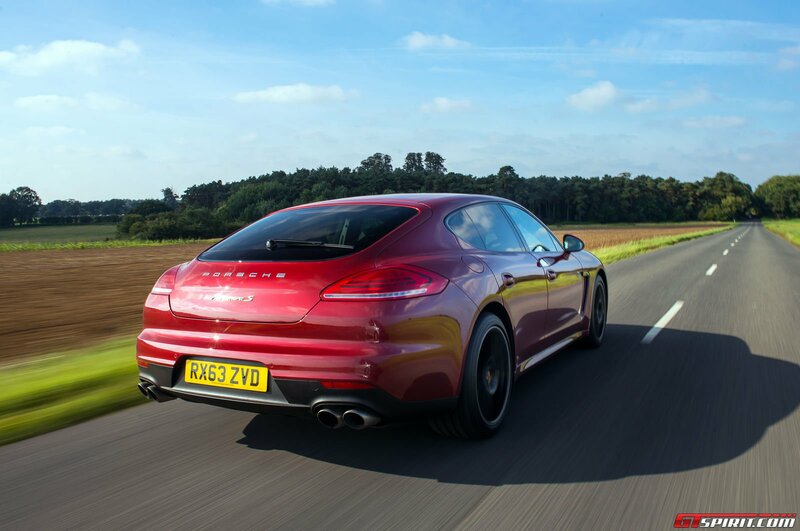 The turbo models and the Panamera GTS have attributes that distinguish them significantly from the other models. For example, the air inlets are even larger, and the shape of the middle air inlet tapers in a downward direction. These attributes and the turn indicators integrated in the side air inlet openings make it easy to recognize the top models at first glance. 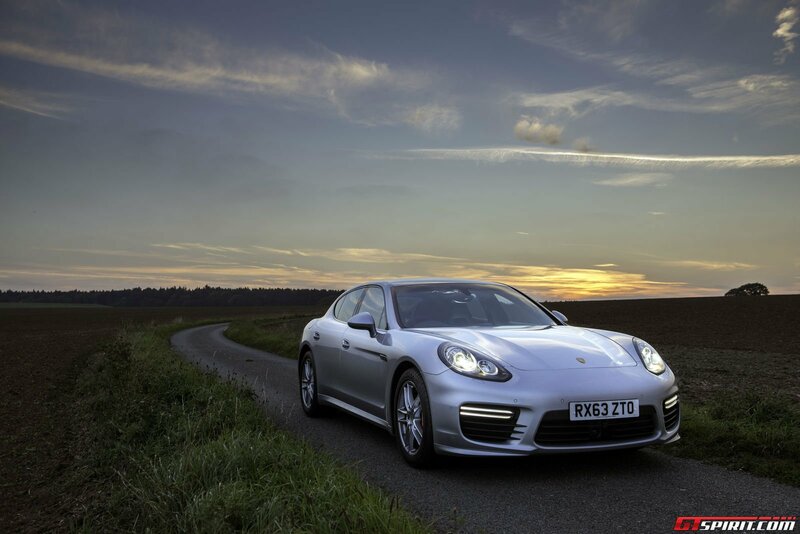 For our driving experience with the 2014 Porsche Panamera we selected three particularly interesting models to take on a journey through the English countryside. 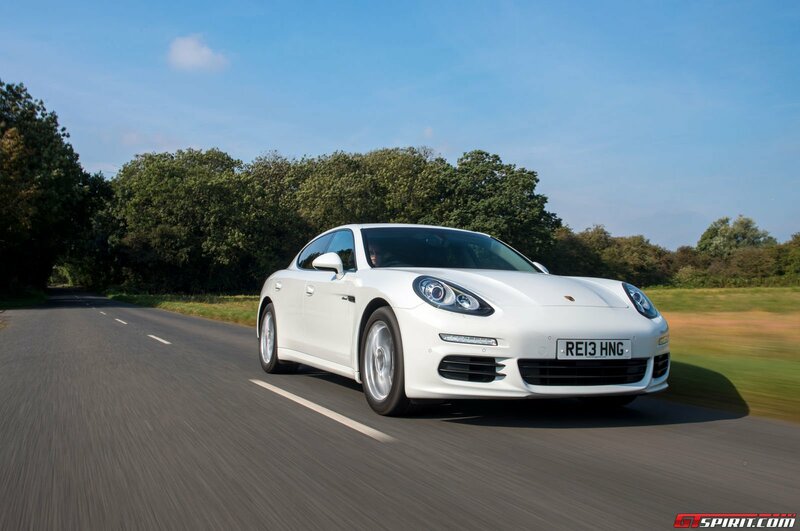 Our first test vehicle was the entry-level 2014 Porsche Panamera Diesel. 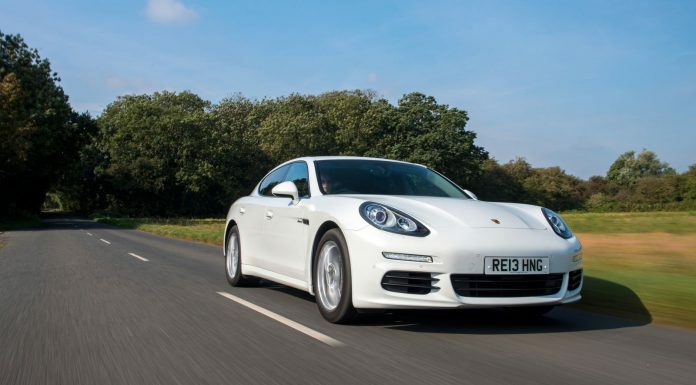 In the United Kingdom this is the most popular and also the cheapest Panamera on the market. 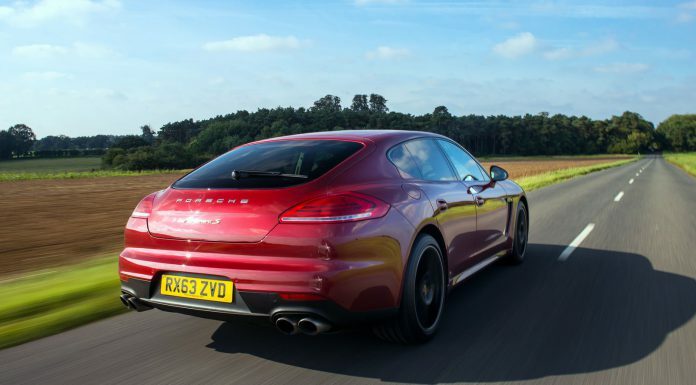 The key question was how Porsche-worthy and sporty is this Panamera Diesel really? 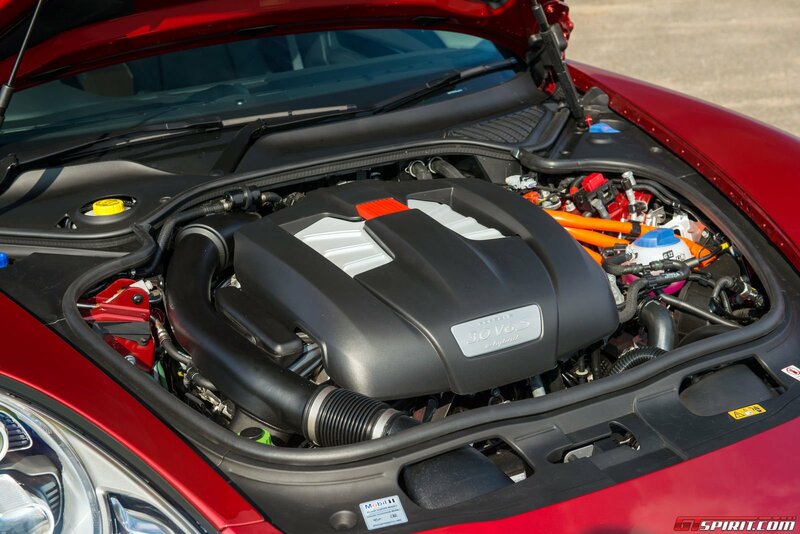 Under the hood of the Panamera Diesel lies a 3.0 liter V6 producing 300hp and near Panamera Turbo rivalling 650Nm of torque. 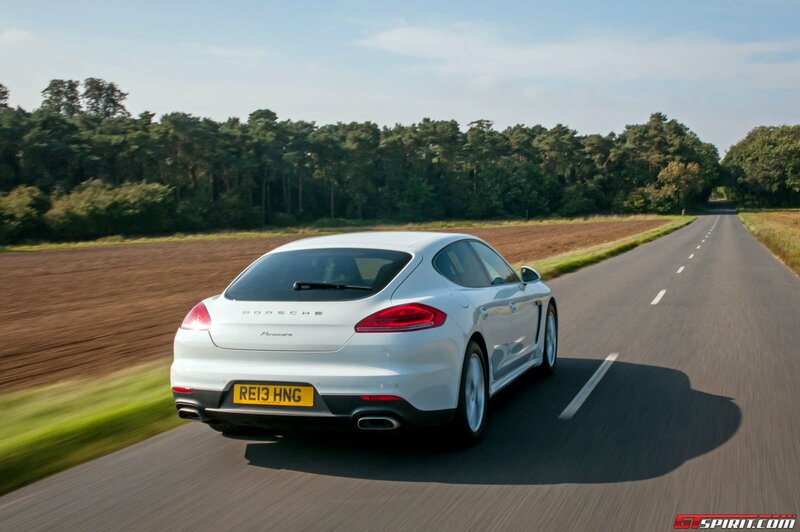 0-100 km/h is done in 6.0 seconds and the Panamera Diesel eventually tops out at 259 km/h. The kerb weight is exactly 1,900 kg and our particular vehicle was equipped with two of the most desirable options: Adaptive Air Suspension with PASM and the Sport Chrono Package Plus. Neatly parked between 15 other Panameras, the Diesel doesn’t directly stand out from the crowd. 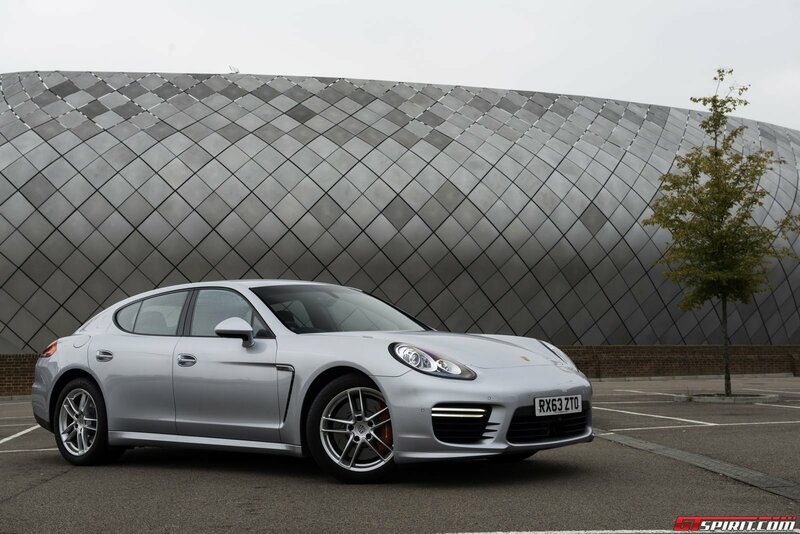 But as soon as we leave the Porsche GB parking lot the Panamera finished in Agatha Grey Metallic Paint and equipped with 20” black wheels starts to attract quite a few looks. The interior is very familiar to anyone who has driven the previous generation Panamera. The sport steering wheel doesn’t have any controls for radio or cruise control but does have flappy paddles mounted directly behind the wheel in comparison to the shift buttons used on the conventional steering wheel. After the usual fiddling around with the navigation system we are on our way to our first destination: Cheltenham in Gloucestershire. Most of it leads over B-roads with plenty of cracks and potholes to test the Panameras revised suspension. With all settings in comfort the car filters away most bumps and thanks to the noise isolation the interior noise is also reduced to a minimum. Press the Sport Plus button on the center console and a new world opens up. Suspension tightens, the engine becomes a lot more responsive, the gearbox holds on to gears longer and the exhaust tune becomes much louder. Although our Diesel doesn’t have the optional sports exhaust its tune is already very pleasant to say the least. After a stretch of winding road through the hills it even made us wonder if we were really driving a Panamera Diesel and not a petrol powered variant. The engine and exhaust sound so different from any other diesel on the market, hats of to the Porsche engineers. 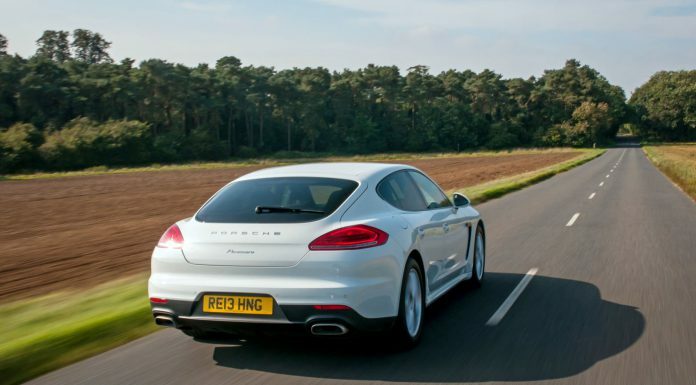 Besides the sound there is another strong feat the 2014 Panamera Diesel has; its handling. 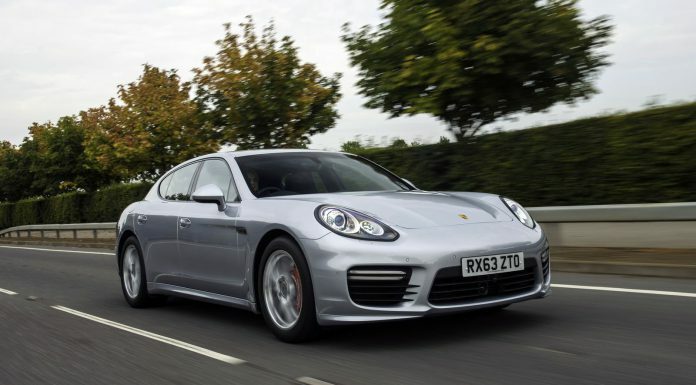 It is a noteworthy feat that the Panamera handles as good or maybe even better than a 996 or even 997 Porsche 911. 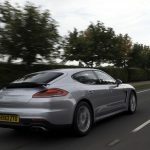 Its steering is direct and sharp, corner after corner the Panamera goes exactly there where you want it to go. 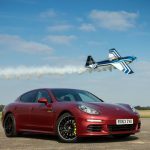 Considering the extreme weight difference between the 911 and Panamera this is a major achievement and largely due to the effort put into finding the right setup. 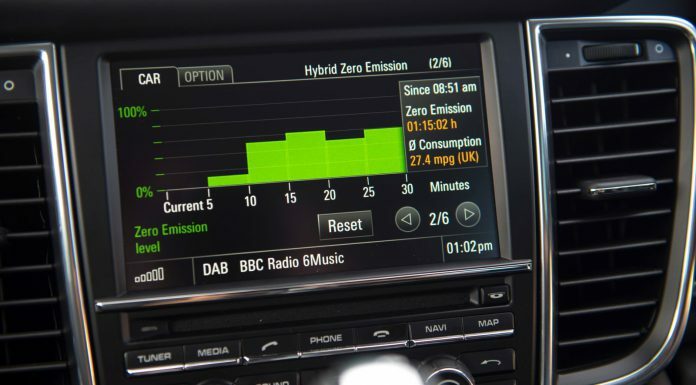 The Panamera Diesel obviously lacks power to really impress under acceleration but thanks to its relative low weight, handling and excellent sound it felt much sportier than we expected. In Cheltenham another Panamera was waiting for us; the 2014 Panamera Turbo! From bottom of the range to top of the range. 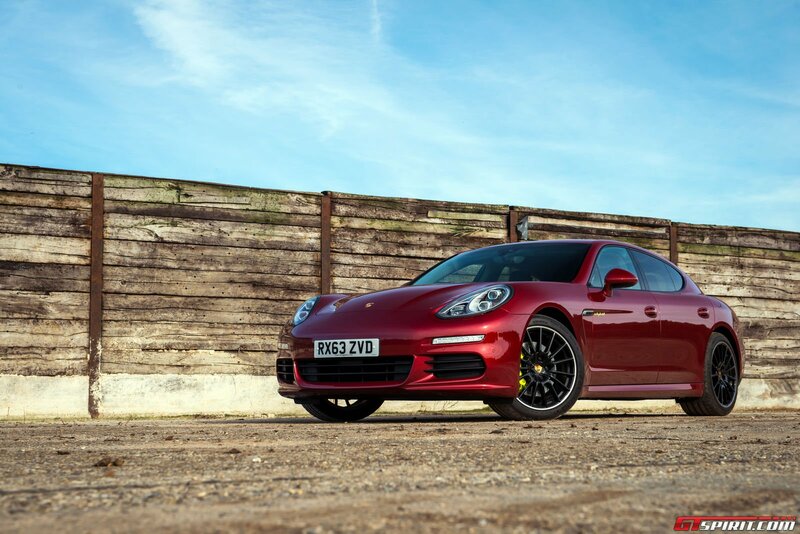 The Porsche Panamera Turbo comes with a 4.8 liter twin-turbo V8 producing 520hp and 770Nm of torque in combination with the Sport Chrono package. With a weight of 1,970 kg the Turbo does 0-100 km/h in 3.9 seconds and has a top speed of 305 km/h. 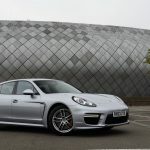 The Porsche Panamera Turbo has a lot of desirable features as standard, yet there are two things that have to be ticked on the option list: Sport Chrono Package and Adaptive Cruise Control. The first really adds to the fun, the second really adds to the comfort. So we are in a Porsche Panamera Turbo in the center of Cheltenham in rush hour, where do we go? We decide to head out towards Prescott Speed Hill Climb, a 1km long hill climbing venue in the Cotswold. The Prescott Hill Climb track is owned by the Bugatti Owners Club, who bought it in 1938 and still use it as their home track. After a 20 minute drive we arrive at the Prescott venue. Sadly the Hill Climb is closed but we did find some amazing roads leading further into the Cotswold. We hit the Sport Plus button and off we go. Mile after mile after mile of deserted twisty little roads with only once in a while another car. 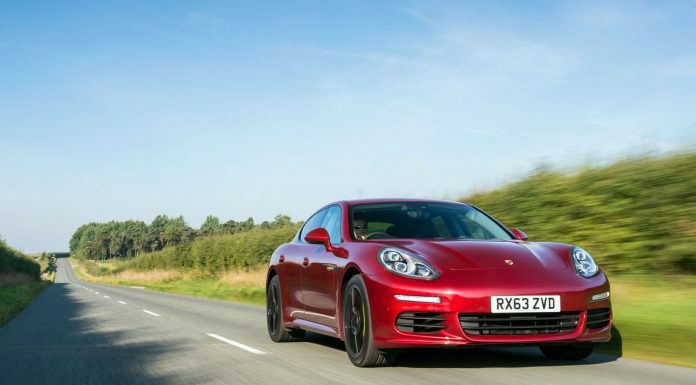 The Turbo is a totally different animal to the Panamera Diesel. In Sport Plus it reacts to even the slightest stroke of the gas pedal, nervously excited for more. There couldn’t be a greater contrast with the comfort mode. The gearbox is lightning fast and you can really feel the G-forces pull you in every direction. 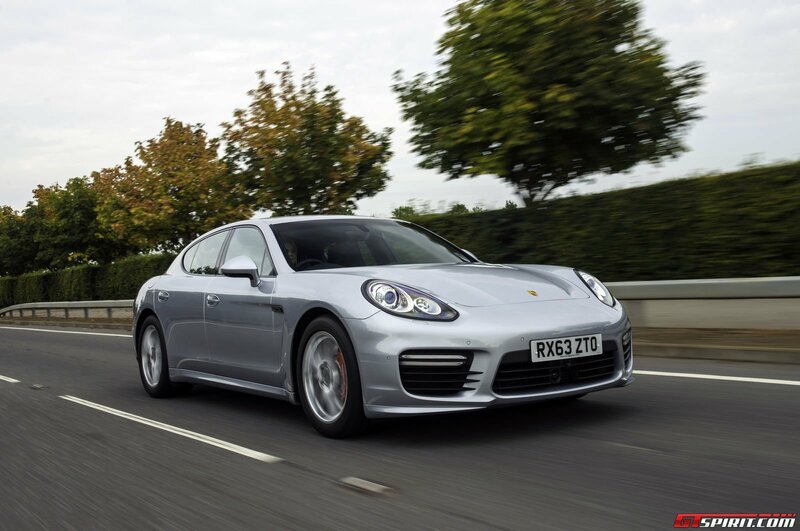 The Panamera Turbo comes with AWD as standard, ensuring maximum grip in any circumstance. 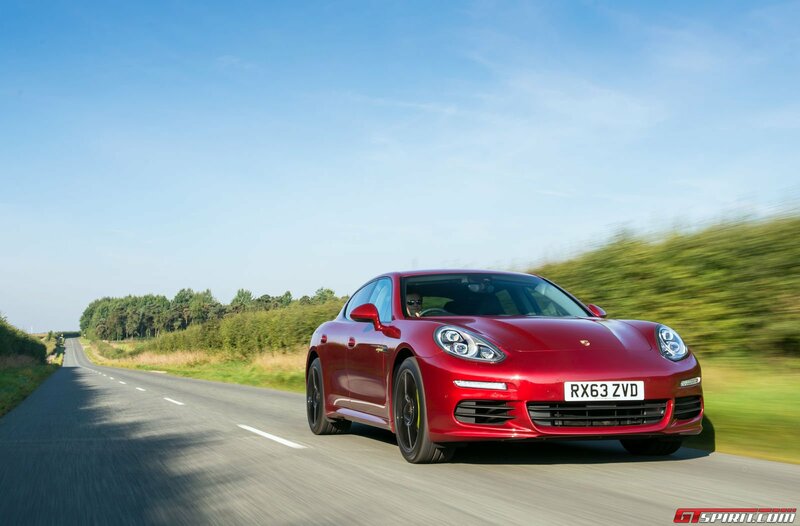 Where the Panamera Diesel was sophisticated sporty in its tune, the Panamera Turbo is screaming loud under power. 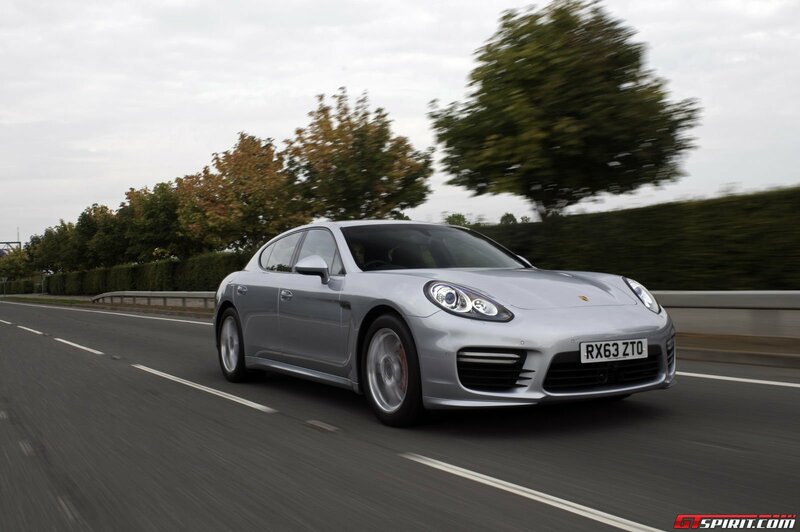 The Panamera Turbo is without a doubt the sportiest among the luxury saloons. Again its the fabulous cornering abilities that sets him apart from the other high-powered saloons. 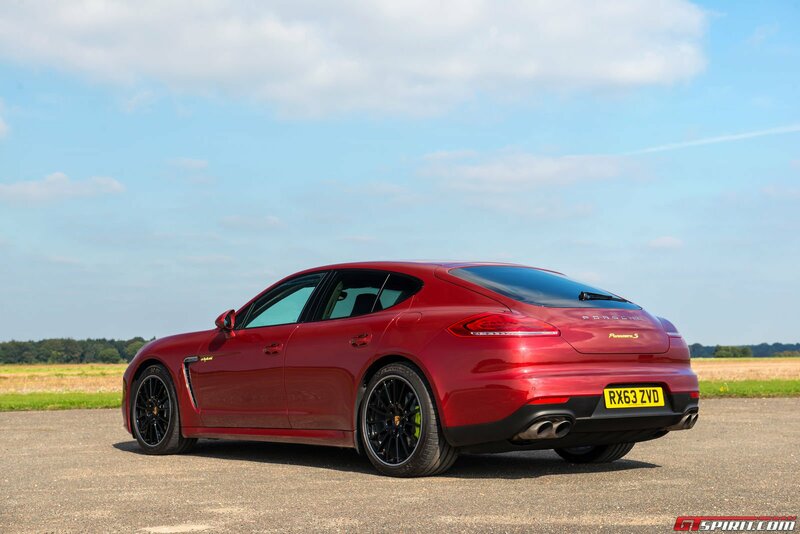 We doubt many owner would, but take the Panamera Turbo to the race track and you will give plenty of sportscars a run for their money. While the sun set at the horizon we return to the city of Cheltenham and recap on our day with two totally different Panameras. Is there nothing we don’t like? Well, you could argue the infotainment is not the best available today. The main display is quite small and the controls can be confusing. 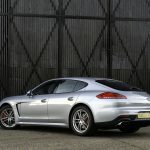 In a certain way it expresses best what the Porsche Panamera truly is, more sportscar than luxury saloon. 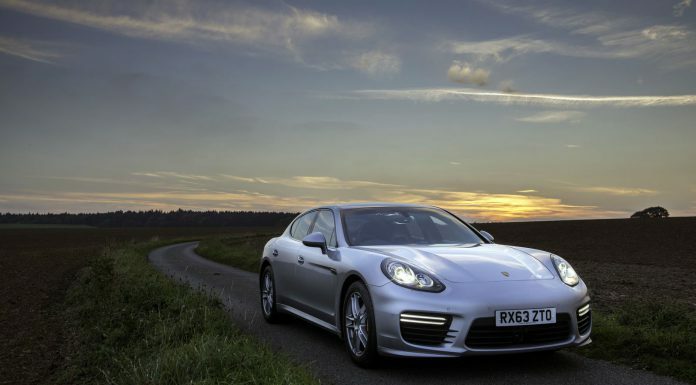 The next day we have one more Panamera to drive: The 2014 Porsche Panamera S E-Hybrid! Porsche’s zero-emission vehicle for the masses. 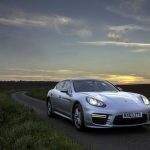 Co2 and tax legislation make the Porsche Panamera S E-Hybrid a very interesting car in many, especially European markets. In the United Kingdom it is exempt from congestion charge and no road tax is charged among other benefits. But is that enough to make it a success? 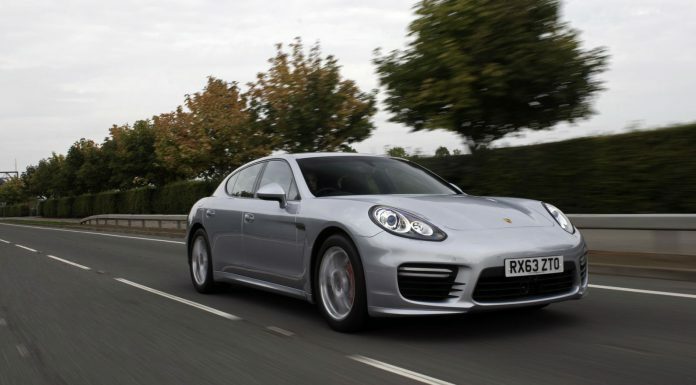 The Porsche Panamera S E-Hybrid comes with a 3.0 liter V6 engine paired with a 95hp electric engine. 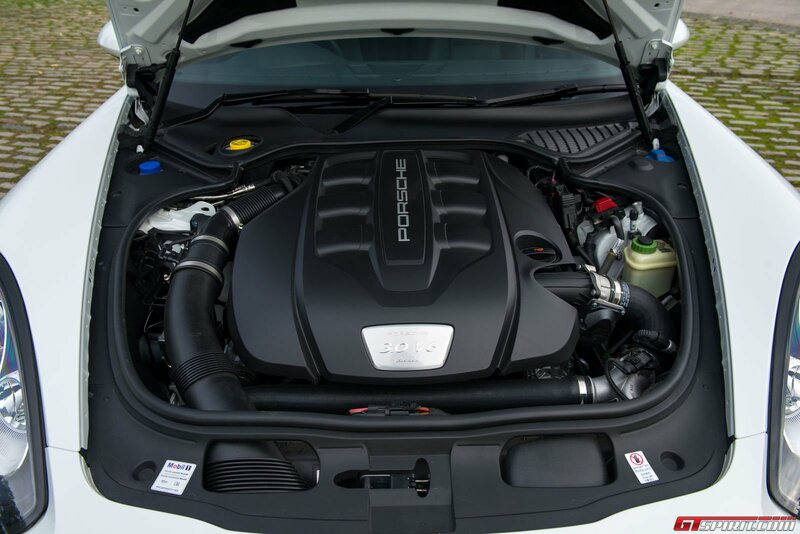 Together this delivers 416hp and 590Nm of torque. The sprint from 0-100 km/h takes 5,5 seconds and the top speed is 270 km/h. 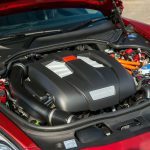 The S E-Hybrid can be used in a variety of ways; full electric driving in E-Power mode up to 35 kilometers, Hybrid driving with both the petrol and the electric engine or petrol driving to charge the battery in E-Charge mode. 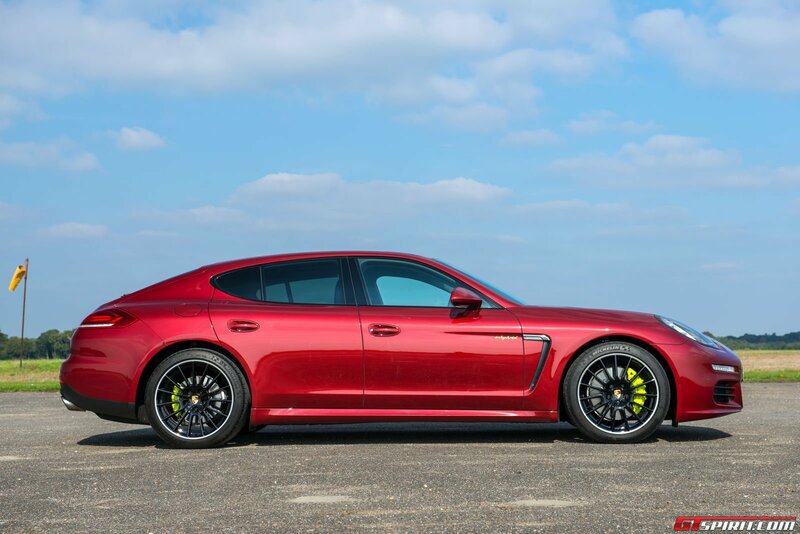 The biggest catch with the Panamera S E-Hybrid is its weight. 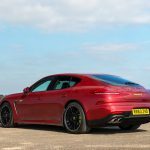 Thanks to the added technology and batteries it weighs 2,095 kg, nearly 300 kg more than the regular Porsche Panamera S.
We set off from Cheltenham with a full battery and cruise the first few kilometers out of the city in E-Power mode. During this entire period the engine stays off and the Porsche speedometer reads 40 mph with 0 RPM on the rev counter, who would have thought that ten years ago. Acceleration in E-Power mode is limited to save battery and if you push your foot down to hard you will see the range quickly drop. Especially stop-n-go traffic hurts the range. On the outskirts of town after around 10 miles our battery had dropped to about 15%. Realistically you can do 12-15 miles in full E-mode before a recharge is required. 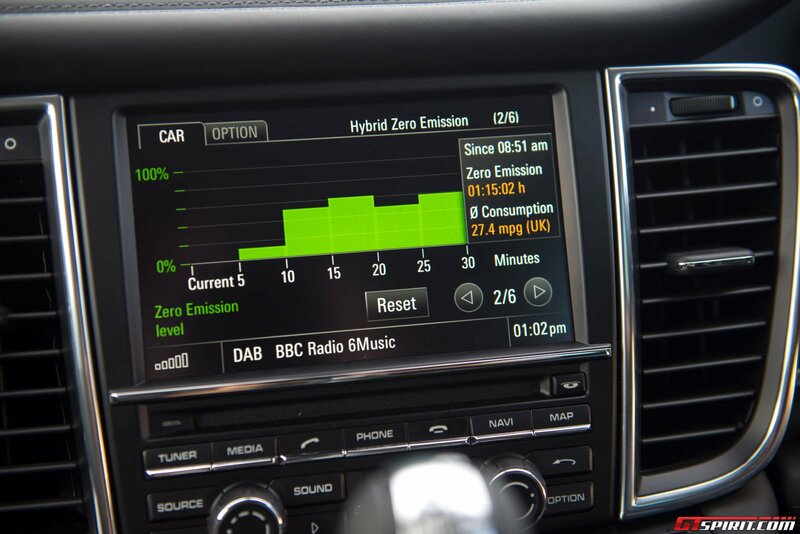 We switch off the full E-mode and head towards Oxford in hybrid mode. You can switch through various displays showing how the power is distributed and what the status of the battery is. A bit like the gamification of electric driving. In hybrid mode you notice the extra push from the electric engine under acceleration but at cruising speed it is the petrol engine that does its job. Approaching Oxford we switch on the E-charge mode, which uses all available power to recharge the battery to 100%. This has a negative effect on the fuel economy and performance as the Sport mode is switched off automatically. Charging the battery to full again will hopefully allow us to cross the 13th century university of Oxford with zero emission. On the western side of town we engage E-Power mode again and slowly make our way to the center of Oxford in traffic. The S E-Hybrid has various fluorescent green elements throughout the car to make it recognizable as Porsche’s plug-in hybrid including the brake calipers, badges and the dials. Another way to recognize the E-Hybrid is by its sound. Compared to the Diesel it lacks a distinctive sporty tone, even under acceleration in Sport mode. 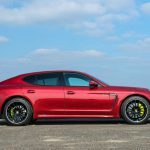 In E-Power mode the Panamera is not as silent as we had imagined it would be, there is quite a bit of rolling noise from the tires and light buzzing from the electric engines. The S E-hybrid makes its way through Oxford without much drama, on the other side of town we still have some battery left to sprint away from the traffic lights in Hybrid mode. On the last stretch of road back to Porsche GB we switch on Sport and see how the S E-Hybrid compares to the other second gen Panameras we drove. Compared to the Diesel it is not nearly as sporty, despite slightly faster acceleration it is the lack of sound and the extra weight you clearly feel when going round bends that make it isn’t. Add a significant higher price tag and fairly limited range in full eletric mode and it makes that the S E-Hybrid is primarily a good fit for those seeking tax benefits or those that drive ultra short distances. For most others the extra weight and cost won’t offset the benefits of the plug-in hybrid drivetrain. Regardless it is an interesting technology demo from Porsche and we can’t wait to see how this technology develops over the next few years. 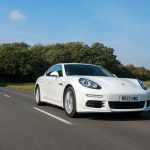 Altogether we had a very interesting, fun and quite compelling experience with the three different 2014 Porsche Panameras in the United Kingdom. 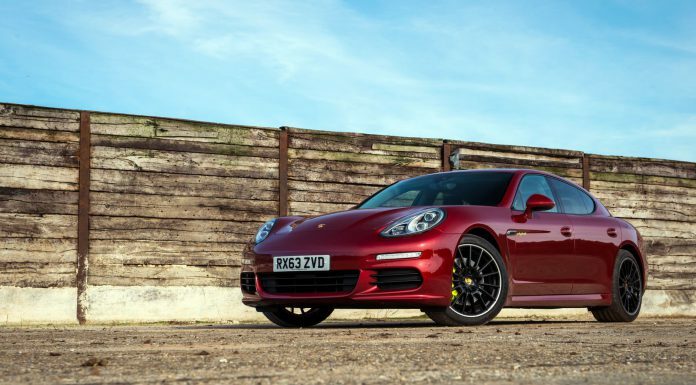 The Turbo is certainly our favorite, but it comes at a price; it costs nearly double of what an entry-level Panamera or Panamera Diesel costs. 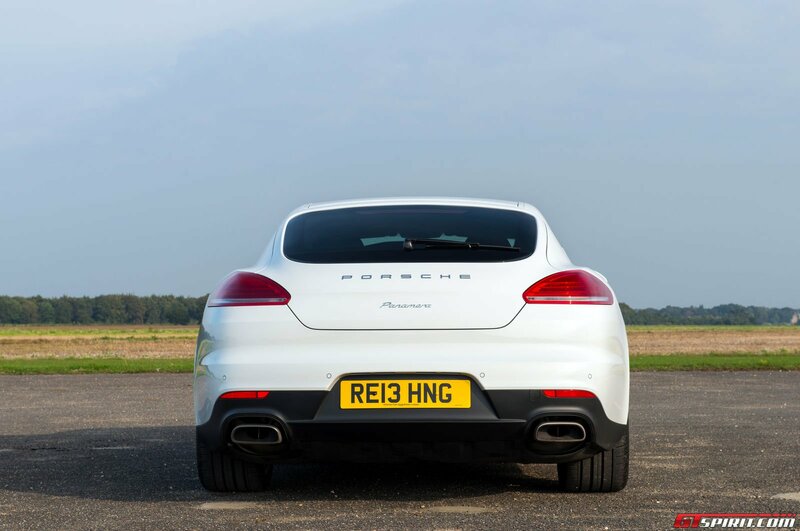 The most surprising car we drove was certainly the 2014 Porsche Panamera Diesel, un-diesel like sound, quality handling and great value overall. Adaptive Air Suspension with PASM: Absolute must have! Sport Chrono Package: Adds Sport Plus button to access even sportier setup. 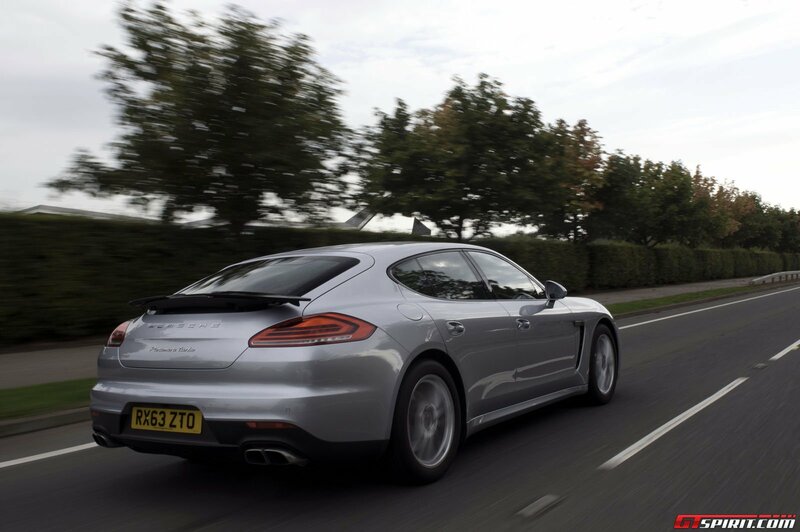 Further includes Sport Chrono clock, launch control and in the Panamera Turbo overboost with 70Nm extra. 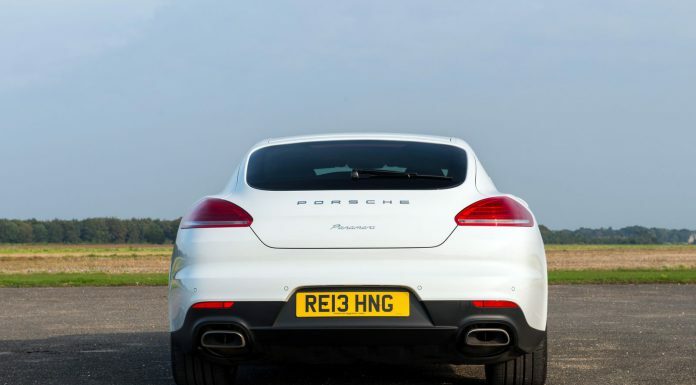 Porsche Exclusive Sport Exhaust: Must have for all those that enjoy a sportier tune! 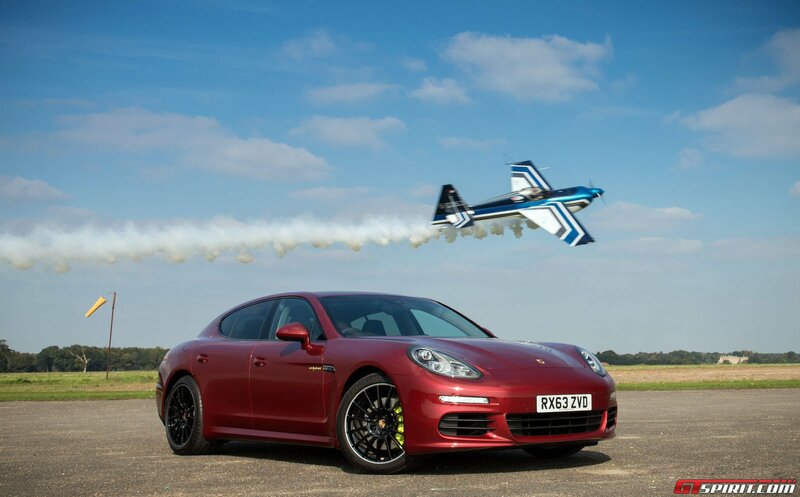 The 2014 Porsche Panamera with its ten models is competing against a huge range of other luxury and performance cars. 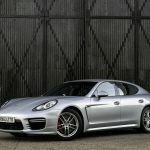 With Panamera prices roughly between 80,000 and 160,000 Euro there are more than a dozen direct competitors including the Audi RS7, BMW 6-Series Gran Coupe, Aston Martin Rapide, Maserati Quattroporte and with the new Executive models even limousines like the Audi A8 and Mercedes S-Class. On the infotainment side Audi, BMW and Mercedes leave the Panamera with a few things to desire. Design wise its the Aston and Maserati that win. 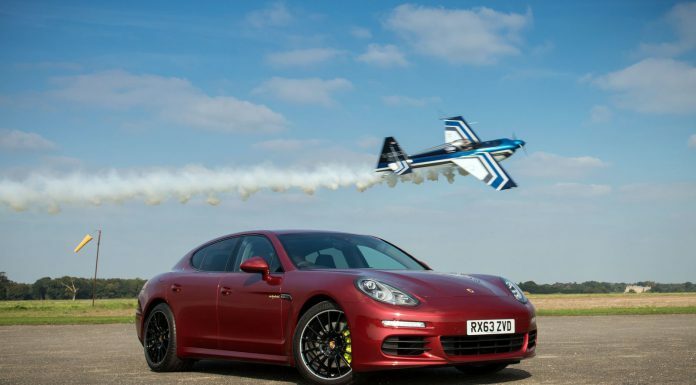 But the Porsche Panamera beats the competition hands down when it comes to its handling, no car in this segment corners so sportscar-like as the Panamera. 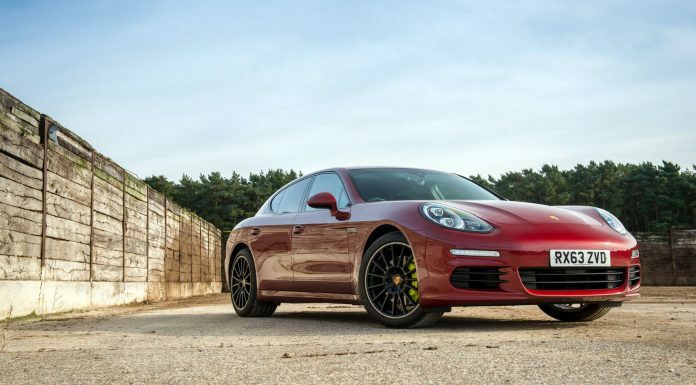 The second generation Porsche Panamera builds on the strong feats of the first generation. The new Executive and S E-Hybrid models are interesting additions to the line-up. Its sporty and performance oriented setup in an elegant Porsche jacket will certainly win plenty of customers over!